Formerly known as Marketplace, Google Play Store is the place where people searching for fun and utility apps come to for their Android phones. If you are a developer who is looking to sell an Android app that you have written after a lot of hard work, you need to submit your app to Google Play Store. The process is easy to understand and does not take a lot of time to get done with either. Before you start the process of submitting your app to the Google’s Play Store, you need to ensure that your app is ready for release. Check its configuration and build and test it to see if it meets the basic quality that is expected of all apps for the Android phone that you are targeting. Once your app is ready for release, access the Google Play Store developer login page by using your web browser. Sign in using your Google Account username and password. If you do not have a Google account yet, you will have to create one. Create a Developer profile on the Google Play Store. The process will require you to fill out a form. Provide your name, e-mail, website URL if you have one, phone number, and any other details that it asks you for. Google Play Store asks for a one-time only fee of $25 for registration. It does not matter if you are submitting a free app; you will still have to pay the registration fee. You can either use a credit card to make the payment, or you utilise the Google Checkout for the purpose. Go through the Google Play Store Developer Distribution Agreement thoroughly. Make an effort to understand all the points in it. Once you have read and understood everything that is written in the agreement, agree to it. 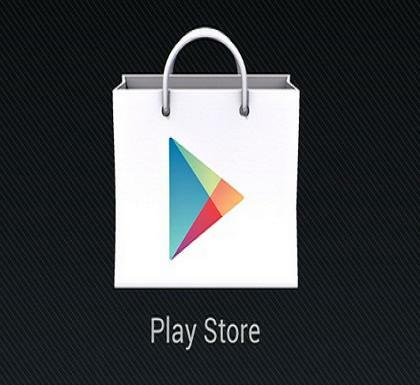 Once you have successfully registered yourself on the Google’s Play Store, you start with the uploading of your app. Locate the “Upload Application” button on the screen and click it. Navigate to the folder where you have kept the release-ready package of your app and select it to upload it. You will be required to upload all related assets, such as promotional graphics and screenshots as well. You will see a form on your screen. Fill it out with the title of your app, its description, the category that it belongs to, the price at which you want to sell it and the language. Complete the uploading process by clicking the submit/upload button. Your app will appear in the Google Play Store in a few moments.